I had some travel highlights in 2016 but one of the most fun was a trip that I took to Wales to celebrate a big birthday. Zip-lining has been on my bucket list for some time, so I set out with three of my closest friends to Find My Epic. 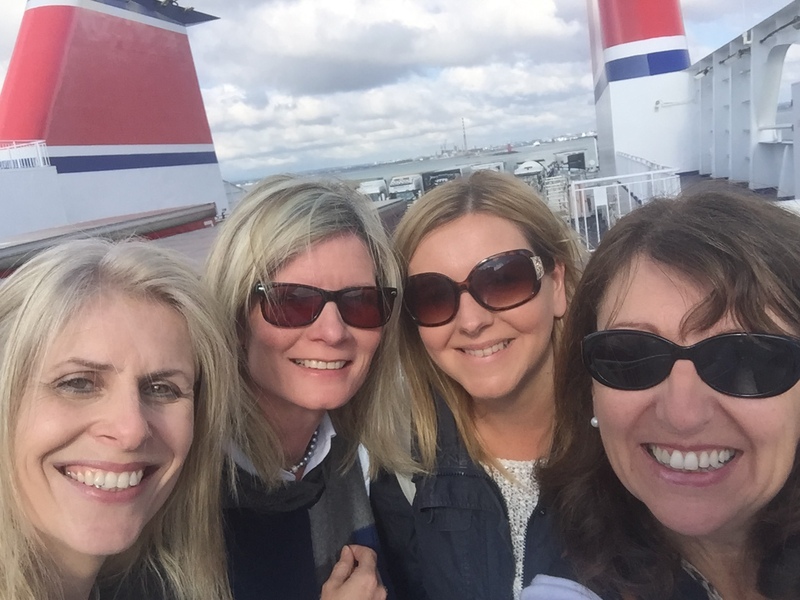 Our adventure started at Dublin port as we boarded the Stena Line ferry to Holyhead, a journey I hadn’t taken for decades. 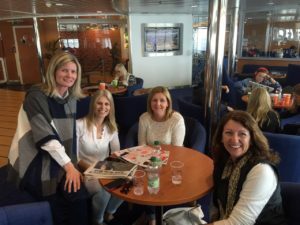 With my friends in the same boat (excuse the pun) we were all bowled over by the relaxed start to our trip. The crossing is a little over three hours so for €20 we took the option to stay in the Stena Plus Lounge with unlimited delicious coffee, carrot cakes, fruit and nibbles. I’m already a fan of cruising and as none of the others have been this was a chance for them to experience something similar and each of them commented that the ferry trip was a mini holiday in itself. Travelling to another country without having to trudge through security or sort toiletries into little plastic bags ensured our holiday was well on its way. A 40 minute car journey after disembarking took us along the pretty Welsh coast to Conwy and neighbouring Deganwy with picture postcard views. Our timing was perfect as we had arrived during Conwy Pirate Weekend. This annual festival, where locals and brethren from far away haunts like Liverpool gather for swashbuckling events, is family friendly. 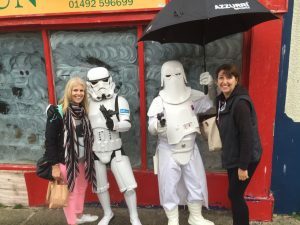 Even the shopkeepers got into the spirit and dressed up as pirates while soaking up the barrel racing, Pirate attacks and all sorts of high jinx. 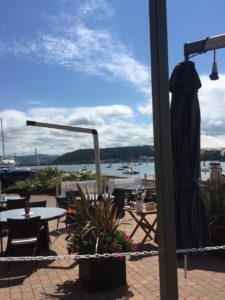 To the sound of cannon fire we ate lunch at the Quay Hotel, our base for the night with a luxurious spa offering ESPA facials and the best massages the girls had enjoyed for years. Deganwy is a tiny town sandwiched between the Victorian resort of Llandudno and medieval Conwy. Serviced with a yachting marina overlooking Conwy Bay, it was just the right drive from Holyhead to feel like we were far from home without travelling too far. We still hadn’t found our epic when we woke next morning. But we did find a novel breakfast buffet with delicious eggs Benedict that set us up for the day and our adventures. 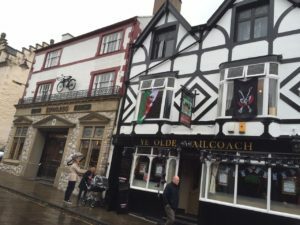 With shopping and cream teas next on the agenda we headed back to Conwy and spent an easy hour pottering into the delightful shops on Castle Street. Harbour cruises are just one of the activities on offer but I’d a hard time dragging the girls out of the shops which were filled with all sorts of quaint knick knacks. 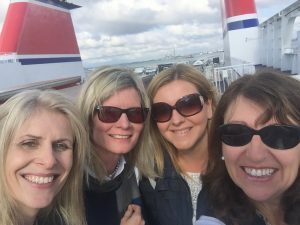 We didn’t have weight restrictions to worry about either as all our purchases were chucked into the boot of the car and wouldn’t be taken out again until we were back in Ireland – another benefit of ferry travel. 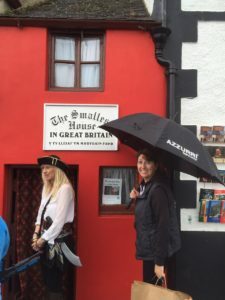 The tiniest house in Great Britain was open for viewing at £1 and 50p for kids. And the stalls along the harbour sold lots of delicious festival food but we were anxious not eat too much before finding our epic. We drove for a little over an hour through Snowdonia National Park and all agreed that the similarity to the twelve pins in Connemara was uncanny. The town of Blenau Ffestineog was a hugely important centre of slate quarrying during the eighteenth century. 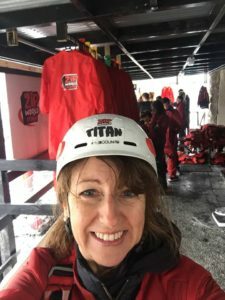 Nowadays it’s an historic reminder of the old industry but ZipWorld have transformed it into one of the most adventurous centres in Europe. 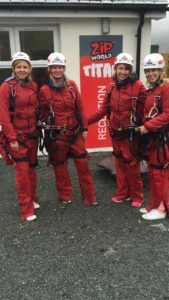 Boasting the world’s longest zip zone and called ominously Titan, we still weren’t deterred. So we donned our red jumpsuits and hard hats and joked nervously about looking like extras in “Orange is the New Black”! Truthfully, we weren’t feeling too brave as the impending Epic was getting closer. We piled into a van that crept up the shear gradients. When we got to the top we were surrounded by thick dense cloud. It was probably just as well because we hadn’t time to think about what we were about to do or realise that the end of the line was 2km away. Lined in a row of four we were rigged up to the wire. With frozen fingers and utter trepidation the gates swung open and at the count of three we were told to jump. The fear turned to utter exhilaration as we whizzed down the mountain side to screams and giggles that would rival the deadliest heard on rollercoasters in Universal or Disney. There is something more real about being in nature rather than a theme park, that brought us on a pure adrenalin buzz. According to one of my daredevil pals this was on a level close to sky diving or bungee jumping. After flying down two more zip zones, the second one even scarier and faster, we reached our starting point again. 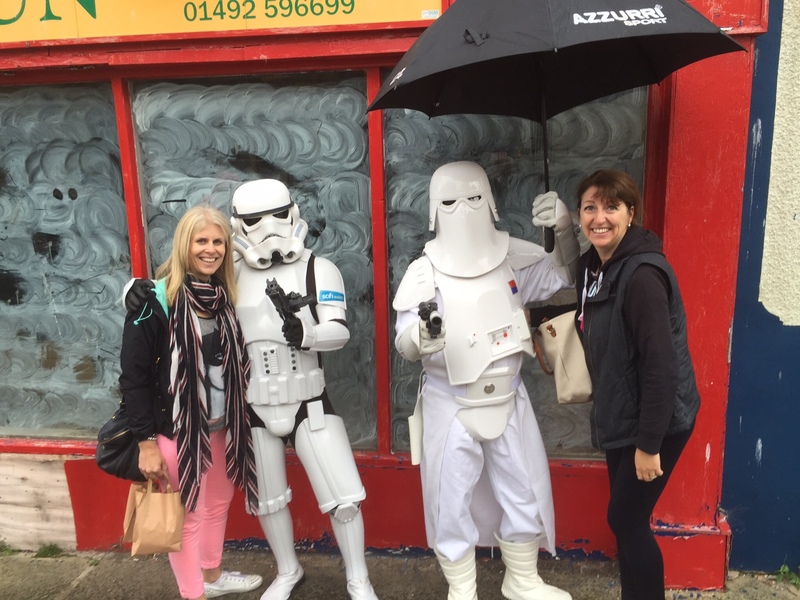 Although it had been raining and our visibility hampered, we all agreed we had most definitely Found Our Epic! There was nothing left to do but drive to Holyhead through the picture perfect towns and wish we had more time to explore the quaint taverns and cafes. When we got home and showed the kids what their mums had got to up to at the weekend our only dismay was the lack of belief on their faces. But we know we did it and we vowed to go on another adventure next year. The problem is after finding our epic, how can we beat that? Zip World has three centres in North Wales. The Stena Line Dublin to Holyhead service offers a direct link from Ireland to Britain on the Stena Adventurer or Stena Superfast X from as little as €89 for a single car plus driver. The crossing time is approximately 3 hrs 15 mins with a choice of up to four sailings a day. Upgrade to the exclusive Stena Plus lounge from only €20 per person and relax in spacious and comfortable surroundings. This entry was posted in Blog Post and tagged wales. Bookmark the permalink.